Article first published as Love Cannot Be Legislated on Blogcritics. 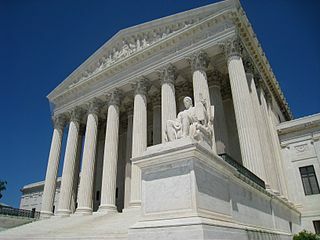 The Supreme Court will be taking up the controversial issue of affirmative action this year. Many are concerned that the court will ultimately strike down the use of race as a criterion for college admissions.Whatever the court decides, it is safe to say that the use of explicitly race-based policies to remedy racial inequities is unpopular among many Americans. It's important to acknowledge that opposition to such policies is not necessarily animated by racial animus or a belief in racial superiority. For most people it is a question of fairness. "Why should I have to pay for the wrong-doing of people in the past?" This is a fair question to ask. It is particularly poignant for those White Americans who are struggling with material conditions similar to people color. "The mass of the people are occupied with self and worldly desire, are immersed in the ocean of the nether world and are captives of the world of nature, save those souls who have been freed from the chains and fetters of the material world and, like unto swift-flying birds, are soaring in this unbounded realm." Obviously materialistic urges and reasoning are not unique to White Americans or to the issue of race. My point is that dealing effectively with racism, like every other challenge facing our species, must involve thinking and action that transcend material considerations. Doing so could free us to soar in an unbounded realm of new possibilities for social discourse and policy. It could unleash the power of spiritual urges and spiritual reasoning. For example, we might ask ourselves, "Why wouldn't I be willing to sacrifice myself for the good of my neighbor?" "...they shun the obscurity of the world of nature, their highest wish centereth on the eradication from among men of the struggle for existence, the shining forth of the spirituality and the love of the realm on high, the exercise of utmost kindness among peoples, the realization of an intimate and close connection between religions and the practice of the ideal of self-sacrifice."